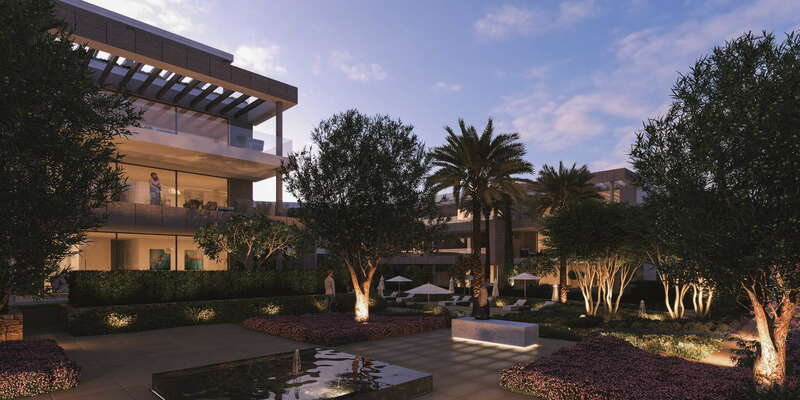 If you consider luxury modern apartments that provide style, comfort and up-to-date luxuries, like to have amenities close by and surrounded by nature to be an ideal combination then SYZYGY The Residences is a development for you to look at, it offers the best of all worlds. 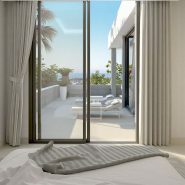 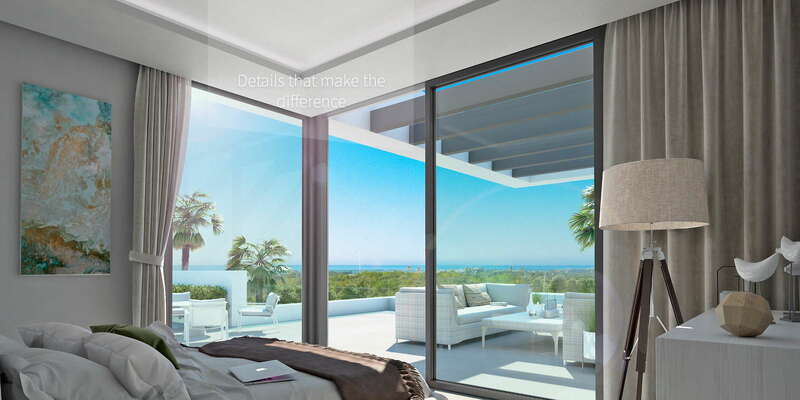 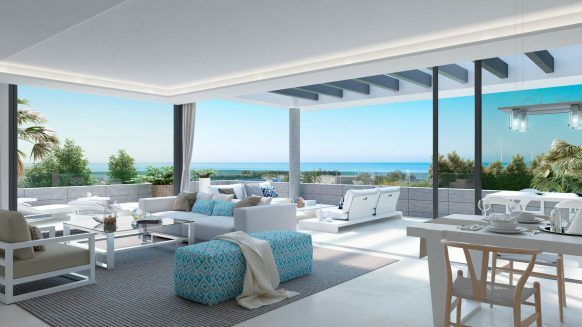 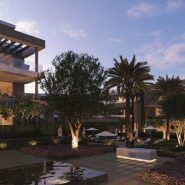 SYZYGY The Residences is located just north of Cancelada and next door to the prestigious Los Flamingos Golf Resort, between Estepona and Marbella. 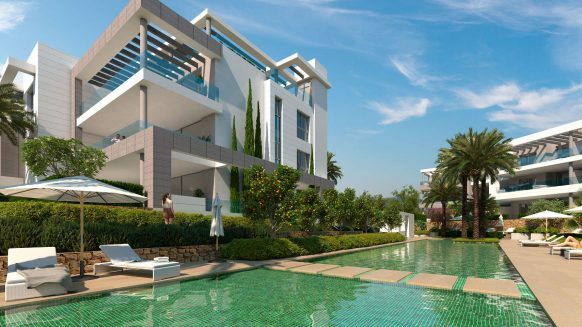 Consisting of 47 modern apartments spread over four blocks in the gated complex. 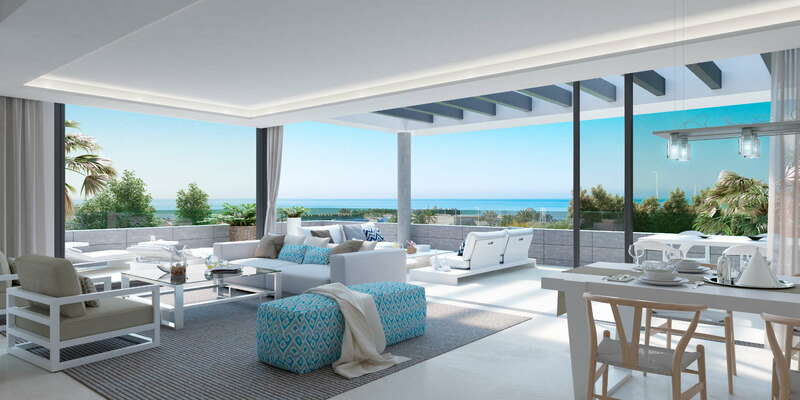 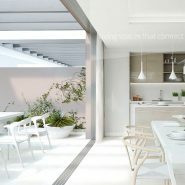 These elegant contemporary apartments and penthouses in SYZYGY The Residences have a design that merges indoor and outdoor living spaces, enhancing quality of life by linking the living room and kitchen with the terrace through large sliding window doors . 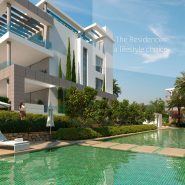 Surrounded by carefully landscaped gardens SYZYGY The Residences offers two swimming pools. 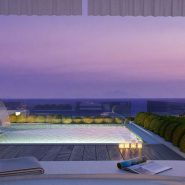 One of them on the panoramic rooftop with complete luxurious Balinese lounge beds. 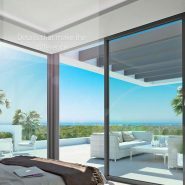 From here the views across the surrounding greenery to Marbella’s La Concha Mountain range and towards the Mediterranean Sea can be enjoyed. 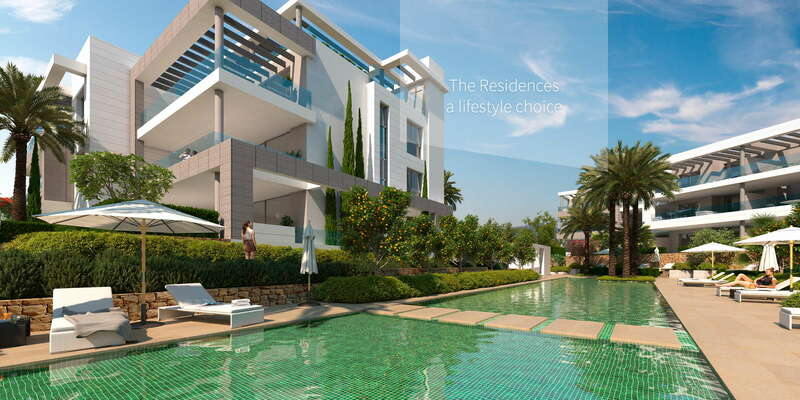 SYZYGY The Residences is designed to offer a sophisticated style of living. 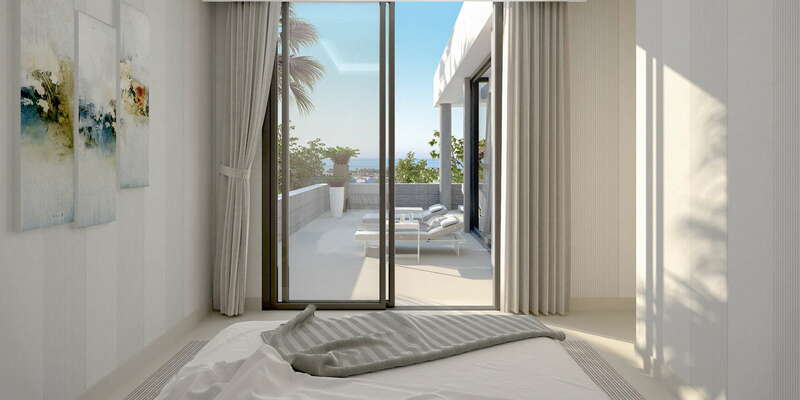 The apartments have spacious terraces and a chill out area integrated into their design and offer spectacular sea views from their elevated position. 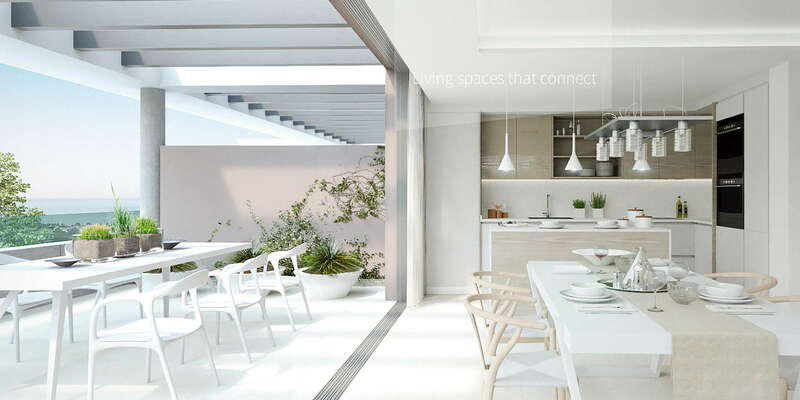 Private underground parking and a storage room are included. 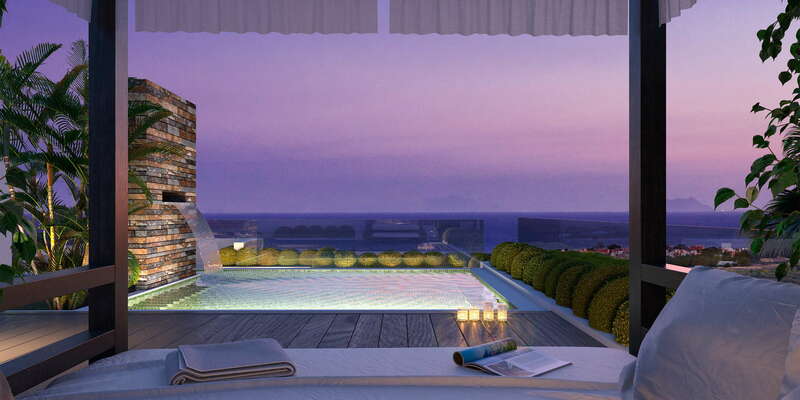 SYZYGY The Residences offers luxurious apartments and penthouses with prices starting at 298.000 euro.